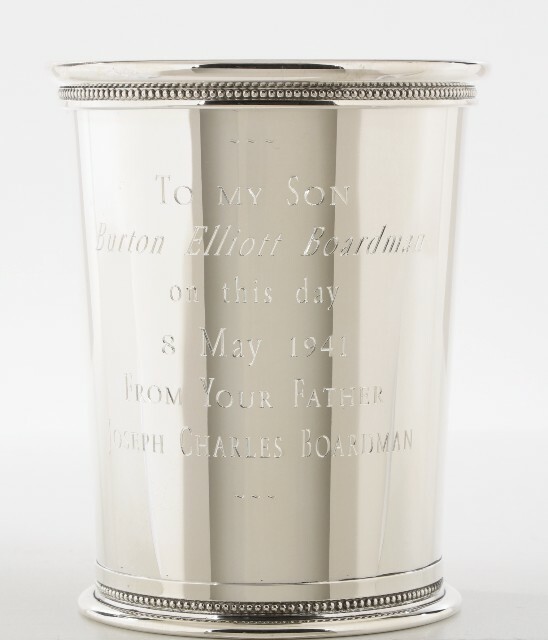 It was customary that the grandfather of the newborn baby boy presented a cup inscribed with the grandfather's name to his namesake. 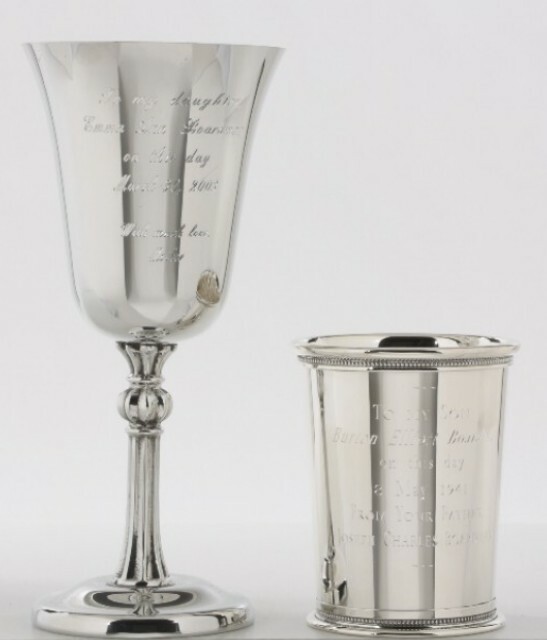 it was also a tradition that only a boy born into the family was presented with a silver cup so that the cup would be handed down to the next generation of males born into the family. The cup was either a silver child cup or, in the Southern tradition, a silverjJulep cup. Godparents were also known to participate in this tradition of presenting a silver cup, silver porringer or silver flatware to the newborn -- something that would be passed on to the next generation. 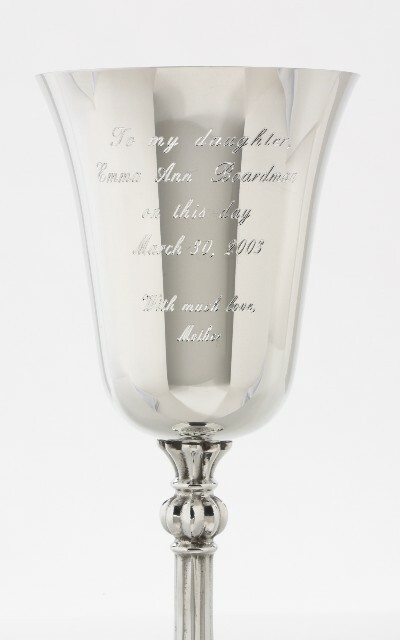 Although tradition showed that only the males born into a family were honored, it has been recorded and passed on that when a baby girl was born into the family, the paternal grandmother would present a silver goblet to her granddaughter in honor of her birth day. This goblet was added to her hopechest of memorable items, to be used one day when she married. This was also the case for a mother, as she would collect and save items for her daughter's hopechest.